Choose from the variety of our beautiful templates for your newsletters & campaigns. All our templates are well-optimized to look great on desktop, tablet, and mobile devices. In other to grow smarter in the marketing of your services, it is important to analyze and see if you’ve achieved your goals using your current campaigns. Inwise allows you just that for each newsletter and campaign you send by updating you with reports and statistics on how many people received your campaign, how many opened, who specifically clicked on its link, and more. According to the anti-spam law, every email of marketing nature must include an unsubscribe link allowing the recipient to opt-out from the mailing list and not receive any more emails from the sender. 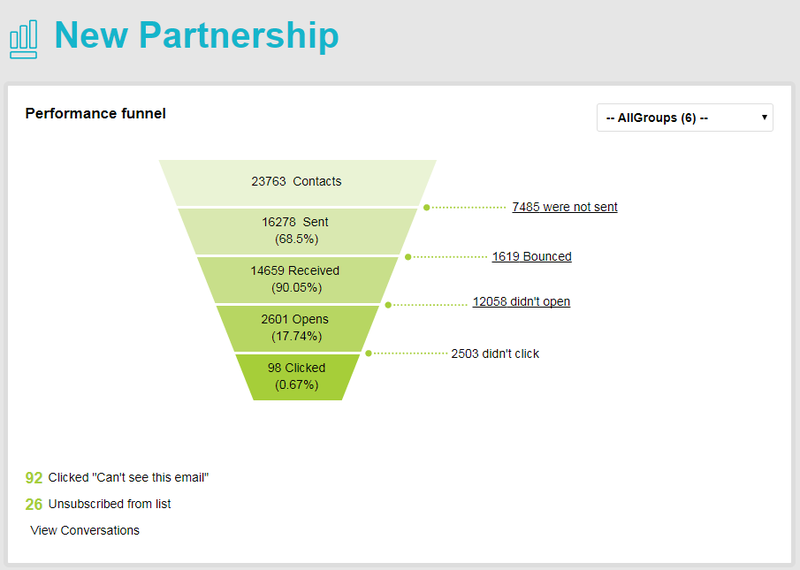 Inwise automatically attached an unsubscribe link to every email and campaign you send.